This entry was posted in dog breeds, Dogs and tagged beagle, English Pointer, English Setter, Foxhounds, genetic factors, genetic risk, Labrador Retriever, limber tail, University of Edinburgh. Bookmark the permalink. Thanks. This blog developed as a result of my client newsletter which I issue monthly. 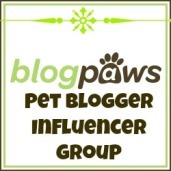 I follow lots of research involving dog health and behavior and so the blog was a natural place to share it.